Inspired by the exhibitions taking place in the gallery, participants will create their own artwork, using various mediums, which will be displayed on the Fruit Factory Gallery. 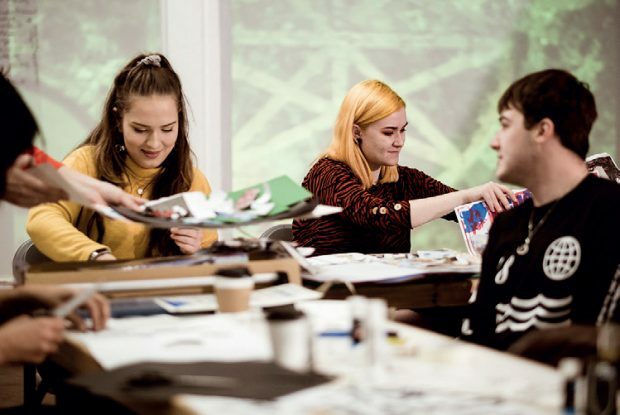 For the first half of the Spring programme, participants will approach experimental drawing, designing playful hairstyles and wigs with inspiration from futurism and Sci-fi. For the second half of the Spring programme, participants will be involved in producing expressive portraits, these can be self-portraits, other participants or friends and family. They will be encouraged to use different materials to construct multi-layered works that allow them to expand their horizons of drawing. Participants have the choice to take their work home, or show them on the brand new Fruit Factory Gallery on the Ground floor. Book your tickets via Eventbrite, HERE.